Most of us are aware of that nonstop chatter rattling about in our head that goes on and on unceasingly. Ever wondered whose talking? When you sit quietly and try to relax and be still, maybe to sleep, yet the incessant chatter does not stop long enough for even a moment of peace or respite! Just to become conscious and ask the question ‘who’s talking’ is a giant first step in taking control over your thinking and that annoying chatter. This can be a very personal, yet revolutionary, personal discovery that will begin to reclaim self-mastery. It will lead to becoming master of your thoughts and gain control over distractions. I recall visiting some dear friends and in the middle of an important conversation their little girl was constantly trying to gain their attention, first she wanted a drink, then a snack. She was persistently interrupting and distracted her parent’s attention, each time our flow of conversation stopped dead! The result was that the parents were more attentive to the child than to the conversation. The child’s chatter was so persistent and irritating that little, if any, pleasure or value resulted from our chat! The prime focus was on the annoying child and not on the topic we really wanted to focus on. So little, if anything was achieved with that interaction. The purpose of the visit was lost indeed wasted. Our inner chatter is like that, distracting us from what we really need to be thinking about. So, how would you deal with it? How would you have handled the above situation? Some would say, ignore the child. Well, that just makes her more determined to be heard and even more persistent chatter results, or would you stop talking to your guest to pander to the child? Most would firmly tell the child that you are busy for the moment and would attend to them when you had finished talking. In this way the child receives an answer and you get to finish your conversation without interruption. But there is another, a more effective way. The little girl could have been educated not to interrupt! So how can you educate the chatter to be quiet, even stop? 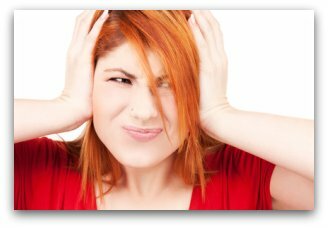 This technique will begin to eliminate the chatterbox at will, and allow you to regain mastery over your thoughts again. The first step is to observe the chatter without judgment. Just observe and experience whose talking. Next, notice ‘which one is ME?’, ‘how many ‘me’s’ are there? Am I the chatterbox, that doesn’t stop talking, or am ‘I’ the observer? The moment you start observing or watching those thoughts and actions without judgment, a new level of consciousness is activated. It can be like watching a completely different person. It may be a surprise how inappropriate, even silly much of it is, and how damaging and nonsensical! You begin to realize whose talking, that the content of this chatter and many of your actions is like a rebel splinter group separated from the principal body of truth; like the annoying little girl, it is still a part of the family but exercising inappropriate, even erroneous behaviors. As the, none judging observer, a new and true picture of your wiser, true self begins to emerge. As you begin to observe, so you begin to awaken a greater wisdom. The part of you that knows more about you than you do! Becoming the observer and bringing the compulsive chatter to heel opens the floodgate to greater intuitive, knowledge. Life becomes more harmonious, you experience less stress and fewer challenges. Remember, what we hold in consciousness is being drawn into our lives like a magnet. Those thoughts are instruction of what we are encouraging in to our lives! Read more about this in Magnetism Attracts. So, observing how your life and affairs are today will reflect those annoying thoughts and actions of the past. Through the process of observing your-self and understanding who’s talking you can take back control over your thoughts, and you life and affairs will begin to flow freely. If you keep a journal and wish to take this technique to the next level, write your observations down. It increases the effectiveness greatly. It’s as though the subconscious see what you are doing and notes. ‘He means business!’ By writing them down, you also quickly see it working and how effective the technique is. It just takes a moment to do and is well worth the effort. Simply jot down . . . I observe (your name) Joe, fearful his business is failing! . . . I observe Joe worried he is going to be ill! . . . I observe Joe worried he is going to lose his job! You could easily fill many pages of your journal to begin with, so just work with the problems that bother you most. As you progress and see how effective the technique is, you will want to delve more deeply into clearing out those chattering gremlins.